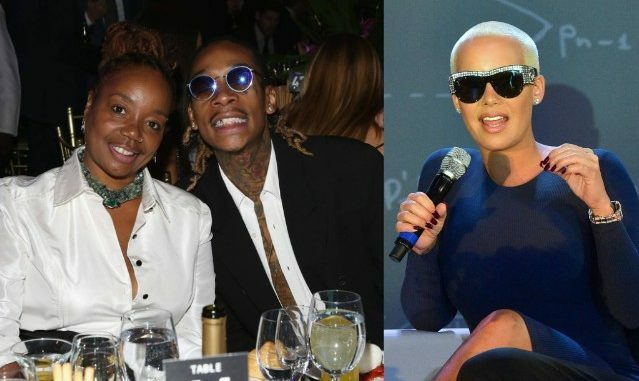 Wiz Khalifa’s mother , Katie Wimbush-Polk is reportedly suing Amber for defamation because she says Wiz’s ex, Amber Rose, launched into a profanity-laced phone call accusing her of being an unfit grandmother and being responsible for her child’s death. Khalifa’s sister, Dorien “Lala”, who died in February of complications from lymphoma. In the lawsuit, Amber made the phone call to Katie after Katie allegedly reported Amber to California Child Welfare Services on June 19. Nothing came of it when child services visited Amber. Katie denied making the call,stating that she hd no reason to do so. Wiz’s mom is suing Amber Rose for $50,000 over the defamation, alleging that Rose has severely hurt her reputation with allegations of being a negligent parent.